Drug companies had offered to point consumers to websites that listed prices. Drug companies will have to give list prices for their products in television ads under a new proposal the Trump administration released Monday. The new rule, which is open for discussion, would affect any drug covered by Medicare or Medicaid. Health and Human Services Secretary Alex Azar announced the new proposal just hours after the lobby group that represents big drug companies said its members would start indirectly mentioning prices in their television ads. The Pharmaceutical Research and Manufacturers of America, or PhRMA, said its 33 member companies would point viewers to websites that mention the list prices of the drugs they advertise, and that also mention what consumers can expect to actually pay for the drugs. “PhRMA member companies’ direct-to-consumer television advertisements will soon direct patients to information about medicine costs, including the list price of the medicine, out-of-pocket costs or other context about the potential cost of the medicine and available financial assistance,” the group said in a statement. Azar said it was no coincidence that PhRMA announced the initiative Monday. They knew the Trump administration was getting ready to act, he said. "We appreciate their effort. But placing information on a website is not the same as putting it right in an ad," Azar said in a speech at the National Academy of Medicine. "For too long, drug pricing has been like no other market,'" he said. "We will not wait for an industry with so many conflicting and perverse incentives to reform itself." Under the proposed rule, a company would have to put in writing the price for a typical course of treatment for drugs such as antibiotics, or the 30-day cost for drugs taken for chronic conditions such as high blood pressure or diabetes. PhRMA has said any attempt to force companies to publish prices would violate First Amendment rights of free speech. But Azar noted that sticker prices for cars must be published. 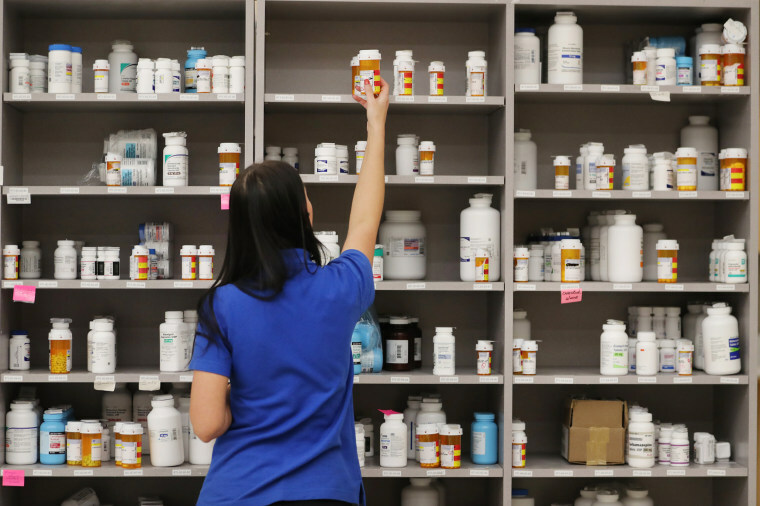 "A year's worth of the most-advertised drugs can cost more than a car," he said. PhRMa's move also did not impress Ben Wakana, a spokesman for Patients for Affordable Drugs. “The PhRMA proposal is a laughable attempt to avoid full transparency,” Wakana told NBC News. Other consumer groups were also not impressed with Azar's announcement. Public Citizen called it a "sideshow". "Requiring such disclosure would help spotlight pharma’s price gouging, but industry executives are beyond shame. Even with this information, consumers, and to a large extent patients, have limited or no ability to choose an alternative product," the group's Peter Maybarduk said in a statement. Under PhRMA's proposal, television ads would not include a drug’s actual list price, but would direct viewers to websites that will discuss prices. PhRMA CEO Stephen Ubl said this is because patients will also get an explanation of how much insurance pays and pointers to payment assistance plans. “Simply including list prices may be confusing and may discourage consumers from seeking medical care,” Ubl told reporters. Wakana neither PhRMA's proposal, nor a federal requirement to publish drug prices, would do anything to lower those prices. “If drug companies are nervous that patients won’t take their drugs if they see the full price, then drug companies should lower their prices,” he said. "The 10 most commonly advertised drugs have list prices ranging from $535 to $11,000 per month or usual course of therapy," HHS said in a statement. "Many patients either pay list price or pay prices calculated based on list price," it added. And, it said, "47 percent of Americans have high-deductible health plans, under which they often pay the list price of a drug until their insurance kicks in." This story has been updated with new content.